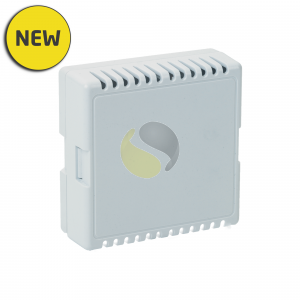 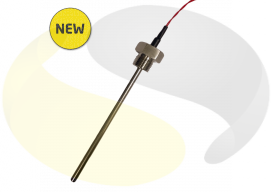 Wall mounted thermistor sensor for internal ambient air temperature measurement of offices, labs and computer or server rooms. 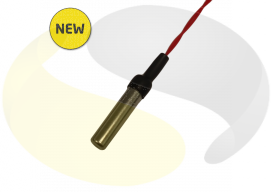 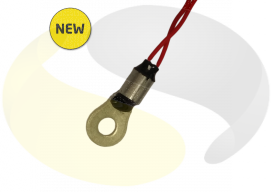 This unit features a high accuracy 10kΩ, fast response, interchangeable, NTC thermistor element with excellent long term stability and accuracy. The housing is made from plastic with dimensions of 80mm square by 30mm deep complete with screw fixings for wall mounting.